At DyKnow, it’s been one of my personal missions to ensure each of our teammates can connect to their work from anywhere in the world. Anytime we need access to documents, sales reports, or customer phone numbers, we have it. Furthermore, our environments are entirely synchronous, meaning our teams always have access to the absolute most up to date information and versions of our work. As a Trndy professional, you have the distinct advantage to learn new tools quickly and share them with your teammates. Speak up when you see room for improvement in your role or organization. Implementing change doesn’t have to cost a fortune; below are tools available for free that can make everyone’s work day more enjoyable and efficient. As I write this, I’m saying a Hail Mary that you’ve heard of Google Apps and Google Drive. Please Lord, let there be hope for this world in which we live. Amen. 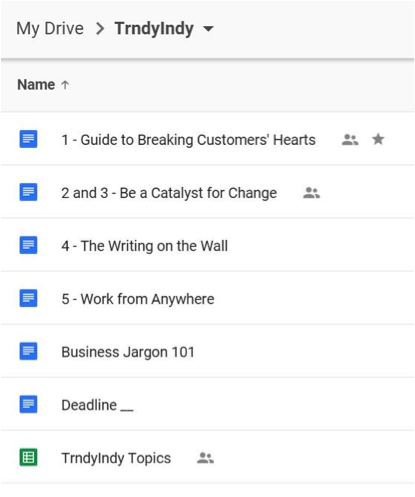 Ok. Google Drive is one of the most basic productivity tools that can help you work and get feedback faster. If you’re attaching documents to emails and sending them back and forth with revisions, I beg of you, please stop. Trello is truly an amazing project management, organization and collaboration tool. Think of it as lists of sticky notes on a wall. You can sort and move entire lists or just individual notes as you see fit, and facilitate discussions with shared visibility. 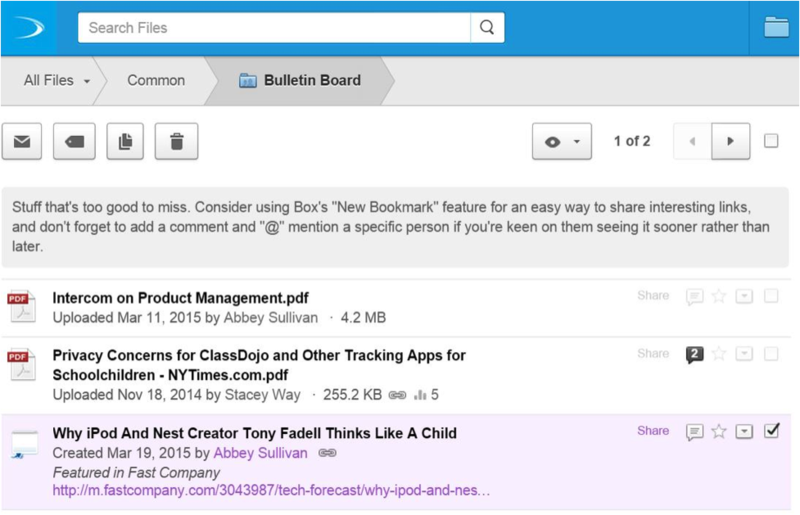 DyKnow uses Trello within and across teams in a variety of ways. “To do,” “on deck” and “completed” lists are common, as are visual representations of information. Below is part of our “Feedback Loop” board. This is one way we organize and manage customer feedback. Box has a handful of very well known competitors, but I chose it for the DyKnow team based on specific criteria that was important for our workflows. To name a few: Box allows robust and specific sharing permissions, their “Box Edit” feature ensures you’re always updating the most recent version of any document, and provides full authoring functionality in your computer’s native Office app. At DyKnow, I love our Box “Bulletin Board,” where we post interesting articles and information for the whole company to read. Similar to Google Drive and Box for content storage, Evernote stands out with some unique functionality and features. The iOS app is fast, reliable and responsive, and their search is excellent. This is especially useful if you’re trying to find a particular word in a particular note. For example, I export my Kindle Highlights from Amazon and save them as Evernote notes, so that I have them wherever I am. Sometimes, I can only remember part of a quote, or perhaps just the book it came from. Evernote returns refined search results, and I can always find what I’m looking for.